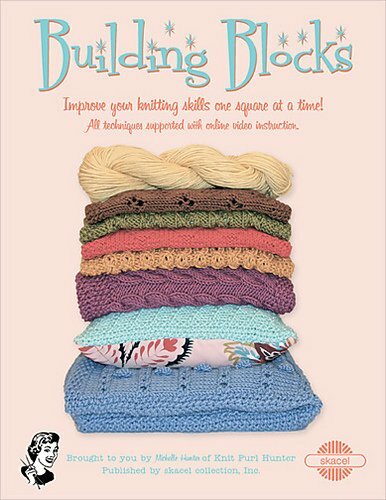 Building Blocks is a skill building workshop that has students knitting a different 12 inch block every month that can be pieced together to create a lovely sampler afghan. The emphasis of this class is EDUCATION. Students are guided through the various stitches and techniques each month as their knitting knowledge is increased. With a different skill focus each month there is something new to learn at each class. Topics such as gauge, cast ons, bind offs, cables, increases, decreases, lace, pattern reading and more are covered. Join in the fun! 2nd Wednesday of every month, 5-6:30 p.m.
Book & yarn must be purchased at MYS! Requirements: Book and yarn must be purchased at Mosaic Yarn Studio. 10% discount when buying for class!